A boat adapted for solo navigation. 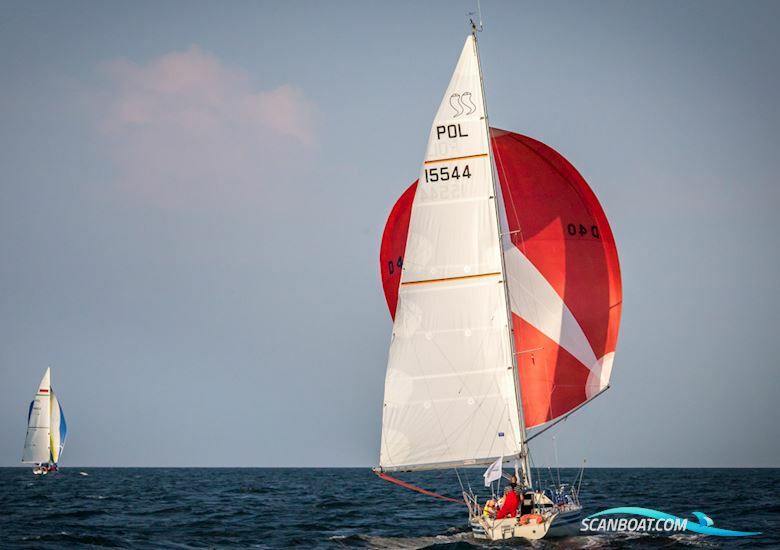 Successes in many regattas: Quantum Danmark Rundt Singlehand, Battle of Gottland, Polonaise Cup and others mostly alone. Sails: main (new 2018),gene (new 2018) 2x gene, 1 seal, 1 storm seal, 2 x spinaker, genaker with rotor. The yacht has a new toilet with septitank, refrigerator, Webasto heating, cockpit table, electrical 12/220, autopilot EV100, plotter map Raymarine eS, AIS, folding stand port and many others.